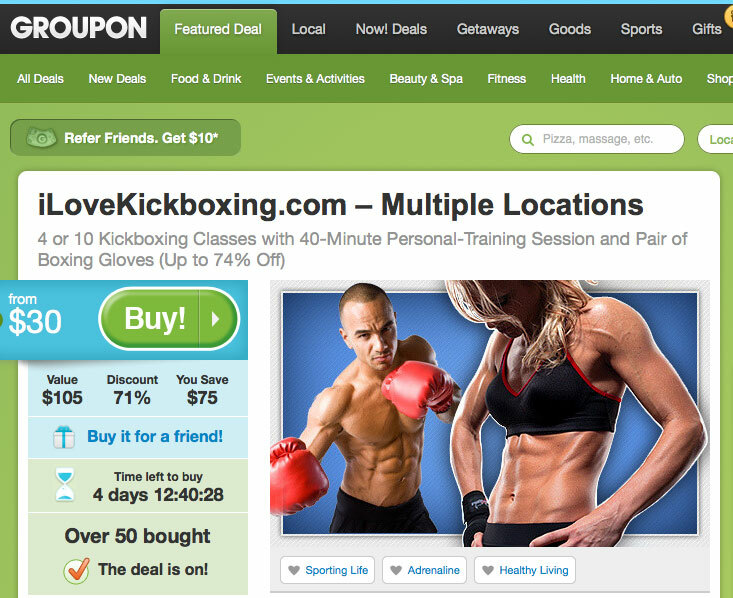 Alpha Martial Arts “iLoveKickboxing.com Seattle” program is featured on Groupon today, Saturday 3/9/13 thru Friday 3/15/13! If you just bought the deal please call us at 206-528-3737 to schedule your first lesson at our AMA Bryant location (1 block N. of the University Village) or 206-322-1433 to schedule your first lesson at our AMA Capitol Hill location (2 blocks East of Trader Joe’s). You will begin with a group class and we will schedule your personal training session at the end of your 1st lesson. Click here to view our AMA Bryant schedule or AMA Capitol Hill schedule. Thanks and we look forward to “Fighting the Fat” with you!